The following appeared as the Editorial in 14(3), December 2014 issue of International Journal of Cross Cultural Management. Over the years we have published little directly on the connection between cross-cultural management and ethics. In fact, these only amount to half a dozen over fourteen years. This includes, in the current issue, the interesting article by Molthan-Hill (2014) ‘The moral muteness of managers: An Anglo-American phenomenon? German and British managers and their moral reasoning about environmental sustainability in business’, which explores a connection between culture and assumptions about moral neutrality in business. Yet I have argued elsewhere that there is a very direct connection between a focus on cultural values, which certainly underlines the origins and is a main strand of cross-cultural management studies, and ethics: ethics not being a dependent variable, but being a subset or part of cultural values (Jackson, 2011). Although the focus on societal values, or work values, provides a direct link to ethics, this connection has not really been made by the main advocates of these types of large-scale studies (Hofstede, 1980; Schwatz, 1994, 1999; Trompenaars, particularly Smith, Dugan and Trompenaars, 1996; GLOBE, e.g. House et al, 2004). It is likely that this connection has not been made as ethics takes social and behavioural scientists into the realm of ‘what ought to be’, rather than ‘what is’. This is a place that positivism does not want to be. Hofstede’s (1980) work, and subsequent similar studies, tells us that if we go to work in another country, its Power Distance may be higher compared with that in our home country. Therefore it is likely to have steeper organizational hierarchies, workers are likely to be told what to do, and there will be little democracy in the workplace. This may be useful description, and may help a manager understand what to expect. Yet it does not tell us what to do. It does not enter into any debate about the desirability of accepting inequality and autocracy, or whether to try to change it. This is the realm of ethics. Some would also argue the realm of politics. Others would argue that this is what social science is particular good at, rather than trying to construct universal predictive science in an attempt to emulate the natural sciences (Flyvbjerg, 2001). Yet for many social and behavioural scholars, and for cross-cultural management scholars in particular, this would represent a huge leap in the dark. It would involve understanding phenomenon, and academic subject areas, beyond their normal remit. It would involve understanding inter-socio/cultural interaction at numerous levels, and particularly at the geopolitical level. It would involve having at least a limited grasp of history, politics, sociology, economics, and to approach these and their immediate subject matter in a critical and challenging manner. It would involve a radical reinterpretation of what they are doing and what they are trying to achieve in their work: what the contribution is and why this is important. From this, two main issues arise: what do we make of ethical standards that are different to our own, how do we understand them? And, armed with this knowledge, how do we understand how to manage, cross-culturally, across different value and ethical systems? Can we judge that people are bad because they take clients to bull-fights, or segregate women from men in the workplace, or employ children in factory work? What do we do about it? Yet is this a moralistic judgement or a cultural one? Perhaps the two are intertwined. Looking at management ethics internationally, or cross-culturally, is not simply a matter of comparing ethical values of one society with another. It is about understanding the choices managers have when making decisions that affect people’s lives. The fact that managers often need to do this internationally may be considered an added complication and a source of inconvenience. A main issue always in cross-cultural management is that of ethnocentricity. If we have a choice in determining whose values are best, we will opt for our own. Many cross-national studies on ethics have been about who is ethical and who is not. Yet universal standards of ethical behaviour are always difficult to establish from some supposed position of neutrality. Flyvbjerg’s (2001) takes the view that in social science there cannot be a view from nowhere. Knowledge of any sort always has to be from somewhere. When looking internationally, particularly from a Western society towards non-Western societies, Postcolonial Theory tells us how distorting that view from ‘nowhere’ can be. African societies for example have for many centuries been overtly patronized. Yet the same also is true today even if we are only looking a short distance from Western to Eastern Europe. Systems of international aid perpetuate this negative regard for others, which is also reflected back on the diaspora in the so-called ‘developed’ countries, in both perceptions of the other, and self-perceptions. This has grown more ominous in the first decade of the 21st century, in America and Britain’s ‘war on terror’ with the almost demonization of Muslims. Yet these moral assumptions are difficult to ignore in our work as cross-cultural management scholars. We have to at least to understand how ethical assumption may impact on our work, and how our work (particularly on values across cultural contexts) may impact on an understanding of management ethics. ‘Ethics deals with values, with good and bad, with right and wrong. We cannot avoid involvement with ethics, for what we do – and what we don’t do – is always a possible subject of ethical evaluation. Anyone who thinks about what he or she ought to do is, consciously or unconsciously, involved in ethics.’ [my emphasis]. Very little social and behavioural science is concerned with ‘what out to be’, and this certainly applies to cross-cultural management studies. It tends to be concerned with ‘what is’ (i.e. description) or perhaps ‘what is going to be’ (i.e. prediction), although it often does the latter badly. Here I return to Flyvbjerg (2001). Much of the emphasis in his work on reforming the social sciences is concerned with the strength the social sciences have over the physical sciences in working with values (i.e. working with people, communities and societies) and ‘what out to be’. Particularly in cross-cultural management studies, much of the work is concerned with values, but it does so at the level of description, i.e, ‘what is’. Hence Hofstede’s (1980) seminal work on value dimensions across nations, which did so much to encourage us to think critically about the transferability of management theory and practice from one nation to another, is after all about description. It does help us to make predictions about what might happen if we transfer management practices from, say, the UK to France, or to Malaysia, but it does not tell us what we ought to do (e.g. go along with authoritarianism in a higher power distance culture, or perhaps as a senior manager introduce more worker participation). It is here that cross-cultural management studies is, or should be, concerned with appropriateness. Management studies as a mainstream discipline is so often concerned with issues of effectiveness. How effective is a management technique or strategy? Or, in international management studies, how effective if we transfer this to another country context? Cross-cultural management studies begs the question, how appropriate is this if we transfer it to another cultural context? Once this question is asked, we have to look to ways of answering. It is an ethical question, as we are dealing mostly with different value structures across cultural contexts. 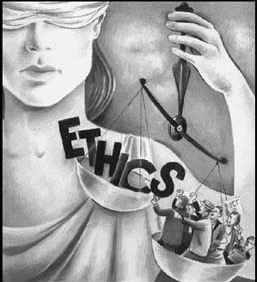 The ethics literature provides possible answers in, for example stakeholder theory (Freeman, 1984; 1994), and examines answers to the question, to whom is it appropriate? Yet, as in Molthan-Hill’s (2014) study, we should question whether the moral muteness of cross-cultural management studies is itself a cultural product. Can we trace this to the Anglo-America origins of cross-cultural management studies? If mainstream social and behavioural studies is morally mute (as for example Flybjerg’s, 2001, appears to be suggesting), what can our own discipline of cross-cultural management studies contribute to making social science stronger in dealing with issues of values, morals and ethics (‘what ought to be?’). Surely a discipline that from its origins has been concerned (overtly or not) about appropriateness, must surely be able to make a substantial contribution to this debate. Flyvbjerg, B. (2001) Making Social Science Matter, Cambridge: Cambridge Uniersity Press. Freeman, R E (1994) The politics of stakeholder theory, Business Ethics Quarterly, 4(4): 409-21. Jackson, T. International Management Ethics: A Critical, Cross-cultural Perspective, Cambridge University Press, 2011. Molthan-Hill, P. (2014) The moral muteness of managers: An Anglo-American phenomenon? German and British managers and their moral reasoning about environmental sustainability in business, International Journal of Cross Cultural Management, 14(3). Schwartz, S (1994) Beyond individualism/collectivism: new cultural dimensions of values, in U. Kim, Triandis, H. C., Kâğitçibaşi, Ç., Choi, S-C, and Yoon, G. Individualism and Collectivism: Theory, Method and Application, Beverly Hills, CA: Sage, pp. 85-119. Singer, P. (Ed.) (1993) A Companion To Ethics, Oxford: Blackwell. Smith, P. B., Dugan, S. and Trompenaars, F. (1996) National culture and the values of organizational employees: a dimensional analysis across 43 nations, Journal of Cross-Cultural Psychology, 27 (2), 231-64.